SEOUL, Dec. 19 (Yonhap) -- North Korea may carry out a high intensity provocation late this month or in early January in a bid to show off its nuclear and missile capabilities, a local think tank said Monday. North Korea could conduct a more powerful nuclear bomb detonation or test ballistic missile technology that would surpass what it conducted in the past, according to a report by the Asan Institute for Policy Studies. The report cited examples of a high altitude nuclear detonation test or the launch of a ballistic missile, which can be used to test the country's re-entry technology using a mock warhead. All five nuke tests conducted by Pyongyang were underground explosions. "North Korea could make such provocations before the Donald Trump administration takes office on Jan. 20," it said. "The North's possible move could highlight the failure of U.S. President Barack Obama's strategic patience policy while not irritating the incoming Trump administration." North Korea has conducted two nuclear tests this year and launched various types of ballistic missiles, including Musudan intermediate-range and submarine-launched ballistic missiles. 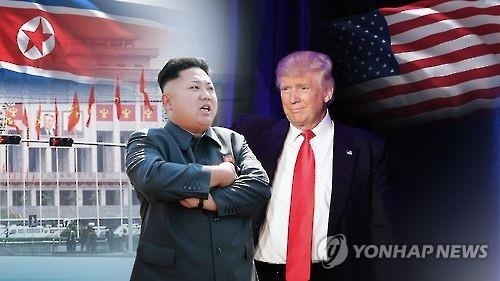 Seoul's unification ministry said Pyongyang is taking a wait-and-see mode to assess Trump's North Korea policy without making provocative acts. While on the campaign trail, Trump said that he is willing to talk with North Korean leader Kim Jong-un, but experts said that the new U.S. administration would continue to apply pressure and sanctions on Pyongyang. The report by the think tank said that once North Korea can fully display its capacity to use weapons of mass destruction, it could open the door for dialogue. "For Pyongyang, negotiation cards that it may consider could include a moratorium on nuclear and missile programs and acceptance of international inspectors," it said. The report said that North Korea may seek to have talks with the U.S. only after it boosts its nuclear capability to the maximum level. "If Pyongyang makes any sort of provocation under the Trump administration, the U.S. is highly likely to respond to them with stronger measures," it added. "Washington may choose aggressive military options to apply more pressure on the North."